The original PC version in all its glory. PC-to-console ports have something of a chequered history. Although chasing absolute parity between the two vastly different platforms remains a fool’s errand, it’s probably fair to say that consoles no longer feel like poor relations, and while pixel-level scrutiny might still find in PCs’ favour, far less is lost in translation now than has been the case in the past. These days, Xboxes and Playstations will generally play host to pretty much anything that wouldn’t represent a complete technical impossibility. Back at the turn of the millennium, though, during the Dreamcast’s brief tenure, this was most certainly not the case. Developers were far more selective in terms of not only deciding which PC hits to bother bludgeoning into living room-friendly experiences, but also as regards choosing which format (or formats) to court. 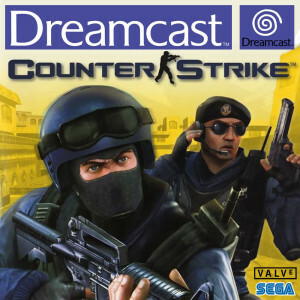 So, as you can imagine, the news that Valve’s paradigm-shifting FPS, Half-Life, would be coming to the Dreamcast was an enormous boon for SEGA. The port was announced on Valentine’s Day 2000 at the French Milia Games trade show. The original press releases boasts of “…higher polygon characters, dramatic lightning and special effects”, in addition to “…an all new single player mission that surrounds the Black Mesa Security Guard character, Barney”, which would later be dubbed Blue Shift. This extra content was to be helmed by a fledgling Gearbox Software, whose only real claim to fame at that point was their work on earlier PC Half-Life expansion, Opposing Force. 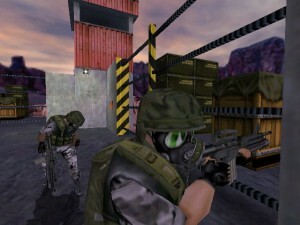 A screenshot from Blue Shift. As with Half-Life and Opposing Force, it was named after a real concept from the world of physics. Sadly, as we now know, Half-Life for Dreamcast was destined never to officially see the light of day. After repeated delays, and just under 18 months following the aforementioned reveal, publisher, Sierra, issued a short statement confirming that the game’s fate, citing “changing market conditions.” By then, SEGA had long announced its discontinuation of the Dreamcast and exit from the hardware business, so on the face of it, such a turn of events didn’t seem all that surprising. 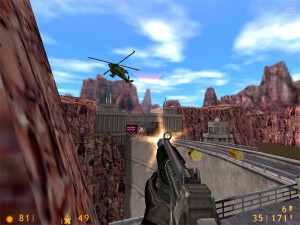 However, Sierra’s choice of words, coupled with fact that the game was mere weeks from its expected release window (a firm date was never pinned down) suggested an 11th hour cancellation of a nigh-on finished product, for which the cost of release in of itself would exceed any projected return. Such a scenario seemed like the only one in which pulling the plug so late in the day would make any commercial sense, given the information available at the time. Some retailers even had the official Prima strategy guide on shelves as the news broke. But the story of a Half-Life‘s might’ve been Dreamcast iteration didn’t quite end with its cancellation, as you might think. The more detailed character models originally intended for the Dreamcast release are a vast improvement. Blue Shift found its way onto PCs to a decidedly lukewarm welcome, as did further upgraded rehashes of the improved character and weapon models intended for the Dreamcast release, in the form of the High Definition Pack. 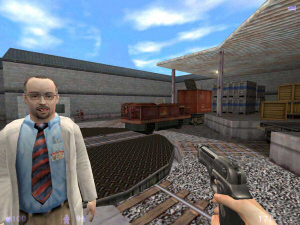 Half-Life would also go on to be released for harbinger of the Dreamcast’s demise, the PS2, later in 2001. That edition came with an exclusive co-op episode called Decay, which would itself later be unofficially ported to the PC by modders. Most intriguingly of all, though, is what appears to be a near-complete Dreamcast build leaked onto the internet years later, which enthusiasts have successfully gotten running on retail consoles. It’s unclear exactly how close to the actual finished article this version is, but anecdotal evidence places it as late as May 2001. While playable to completion, it really is a sloppy day’s work. Loading screens are frequent and overly long, for example, and in-game performance is seemingly pretty variable, especially in large, open areas. Problems such as these can often manifest as the result of running code from home-burnt CD-Rs as opposed to factory pressed GD-ROMs, but that may not be the root cause here, as members of the press flagged these up as issues during preview playtesting long before the game was canned. More alarmingly still, saved games increase drastically in size as you progress through each level, then shrink back to more reasonable proportions at the start of the next. The latter in particular would be an unforgivable oversight in a finished product back then, when storage space was at a premium, and the fact that passwords featured alongside the aforementioned botched save system implied an alternative explanation for the game’s cancellation. Bearing in mind that Dreamcast VMUs can only hold a paltry 100kb of user data, and from how close to Half-Life’s cancellation the build in question purportedly is, perhaps the technical challenges here were simply insurmountable. Maybe Valve and/or Sierra agreed with my above assessment, and decided that the game simply could not be released in that state. If that were the case, they would have had two options: cancel it outright or continue to pour resources into optimising a game for a userbase that was only ever going to shrink at that point, and quite rapidly so. Not a tough call, is it? Neither is opting to cryptically sugarcoat that fact for the benefit of PR. Whether Half-Life for Dreamcast was finished but not released due to the expense of doing so, or because the idea of throwing good money after bad to overcome technical difficulties became farcical after the Dreamcast itself was cancelled, we’ll probably never know. If you want to take a look at the game, there’s plenty of YouTube videos out there, and even a mod for the PC version that apes the Dreamcast port as closely as possible. Also, the console’s ever resourceful homebrew enthusiasts have successfully gotten mods for the PC version working on it. Of particular note is They Hunger, a highly regarded zombie-themed total conversion. It’s a shame that Half-Life never saw release, but to paraphrase the series’ infamous ‘G-man,’ the right game in the wrong place wouldn’t have made any difference to the Dreamcast’s ultimate fate.